El Aaiún (Occupied capital of Western Sahara), March 12, 2019 (SPS) - The political prisoners of the Gdeim Izik Group have announced on Monday that they will begin a simultaneous alarming hunger strike in several Moroccan prisons in protest of their continued arbitrary detention and the miserable and inhumane conditions. 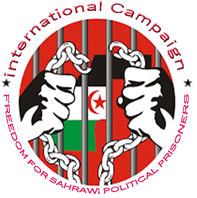 According to sources close to the families of these prisoners, the hunger strike is the beginning of a series of battles to demand an end to the suffering of their families with the unconditional release of Saharawi prisoners. The jails where Saharawi activists and political prisoners of G. Izik will start their hunger strike, are the central prison of Quneitra, the local prison Tiflitt 2, the local prison Ait Mellul 2 and the local prison of Bouzkarn.